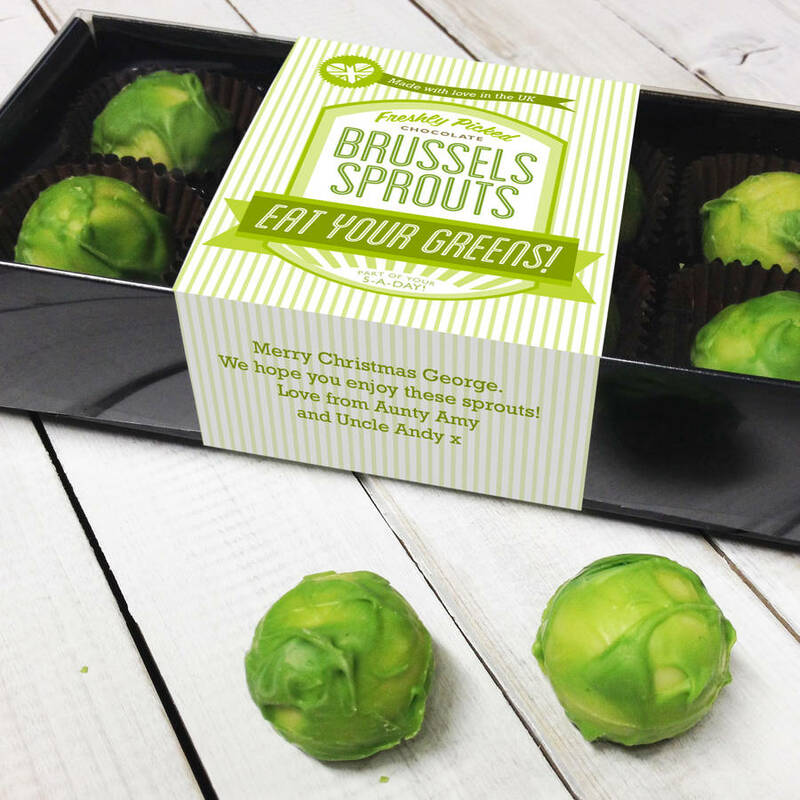 Brussels sprouts are the Christmas vegetable we love to hate. 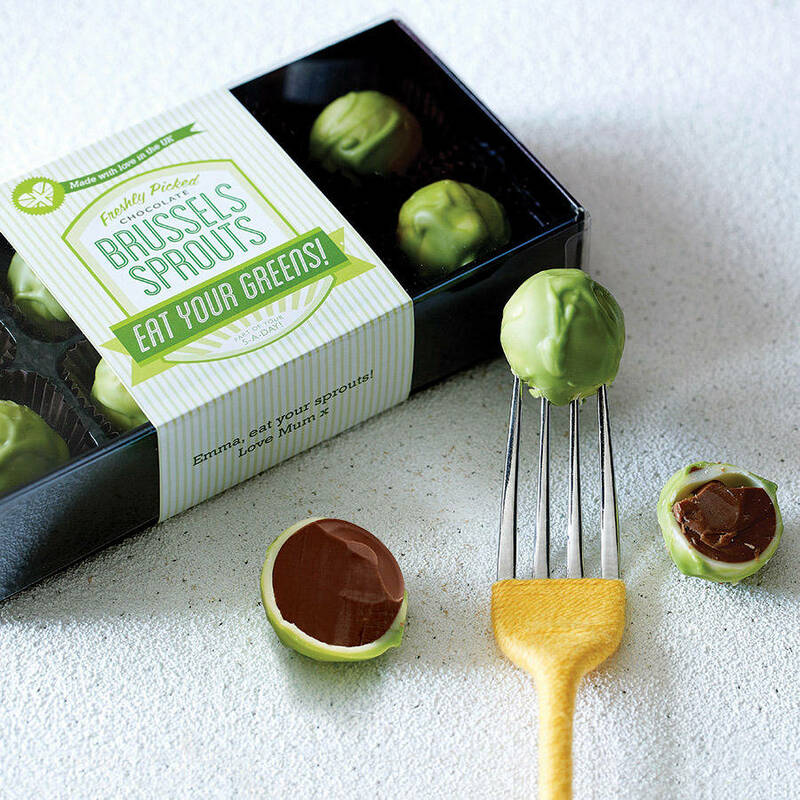 These super-realistic chocolate sprouts are made entirely from chocolate! 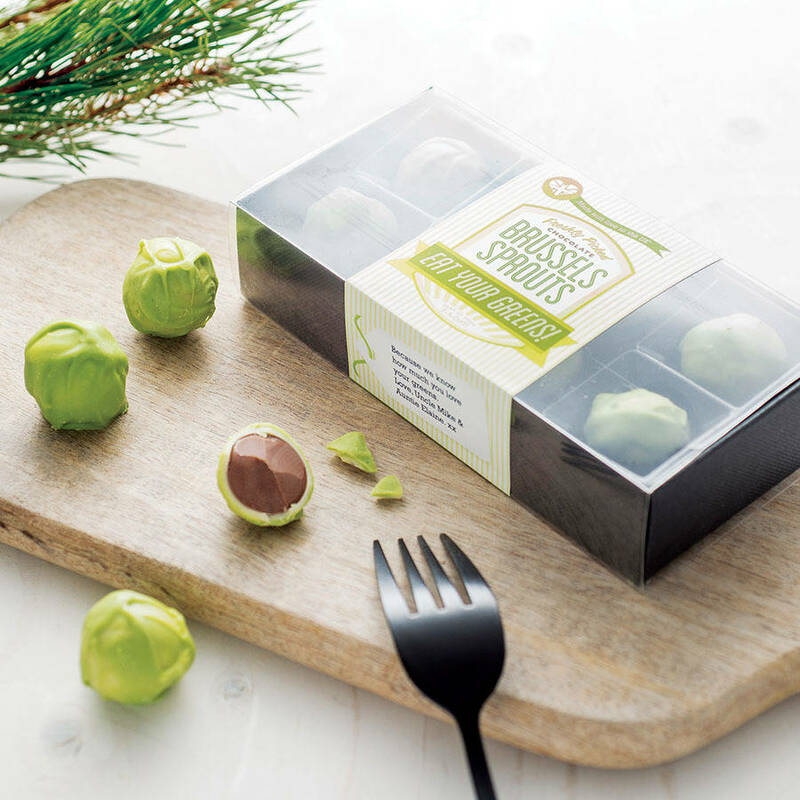 Two delicious flavours - classic milk chocolate and dark chocolate with peppermint. 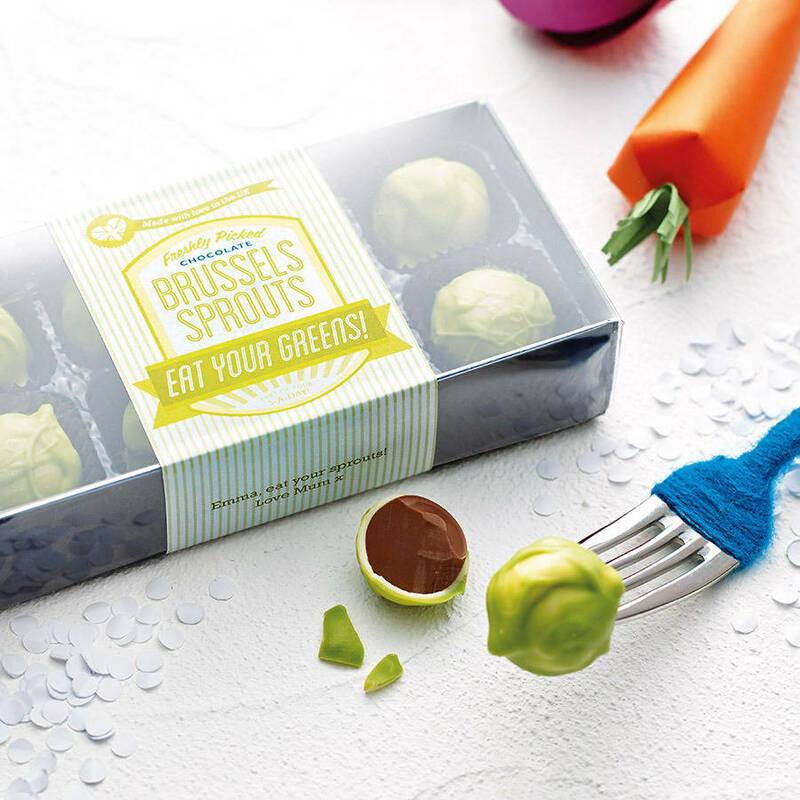 Also, if you fancy something stronger, check out our Boozy Brussels - listed exclsuively on this site too! 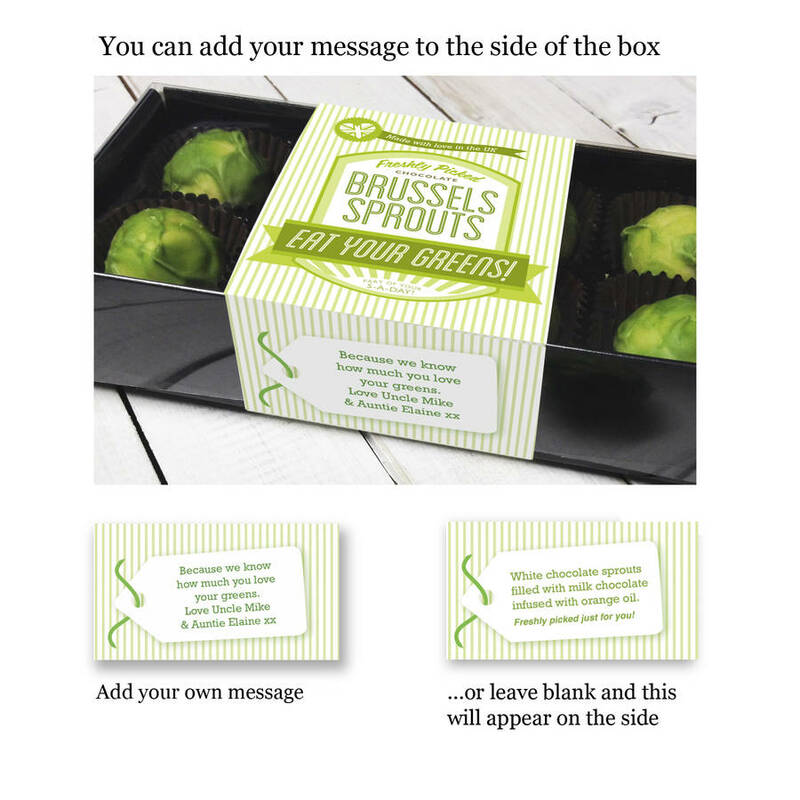 You can also add a personalised message on the side of the box - perfect if you are planning to send this gift directly to the recipient. 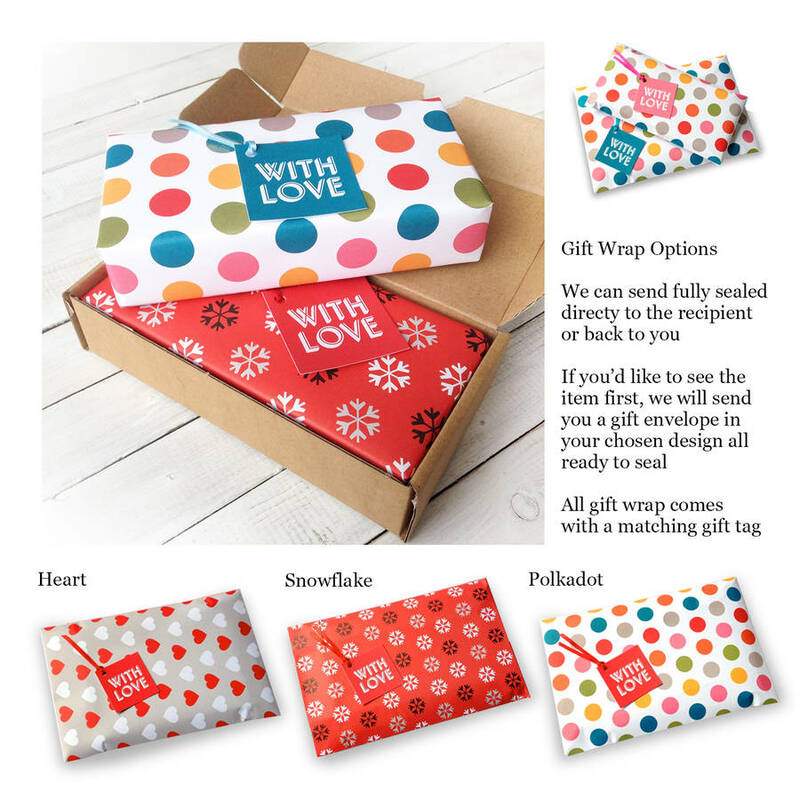 If you do this please remember to add who the gift is from is you are sending direct - and add their address at checkout! 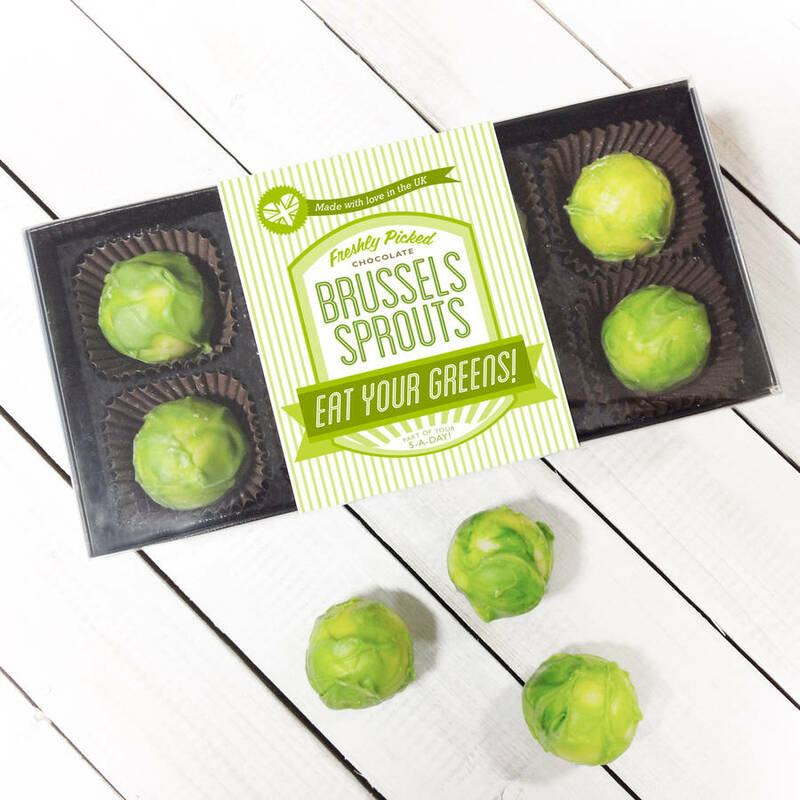 MILK CHOCOLATE SPROUTS: Ingredients: MILK chocolate: Sugar, Cocoa butter, Whole MILK powder, Cocoa mass, Emulsifier: SOY lecithin (E322), Natural vanilla flavouring. Cocoa solids 33.5% minimum, MILK solids 22% minimum. White chocolate: Sugar, Cocoa butter, Whole MILK powder, Emulsifier: SOY lecithin (E322), Natural vanilla flavouring. Green colouring (E142). Cocoa solids 28% minimum, MILK solids 25% min. 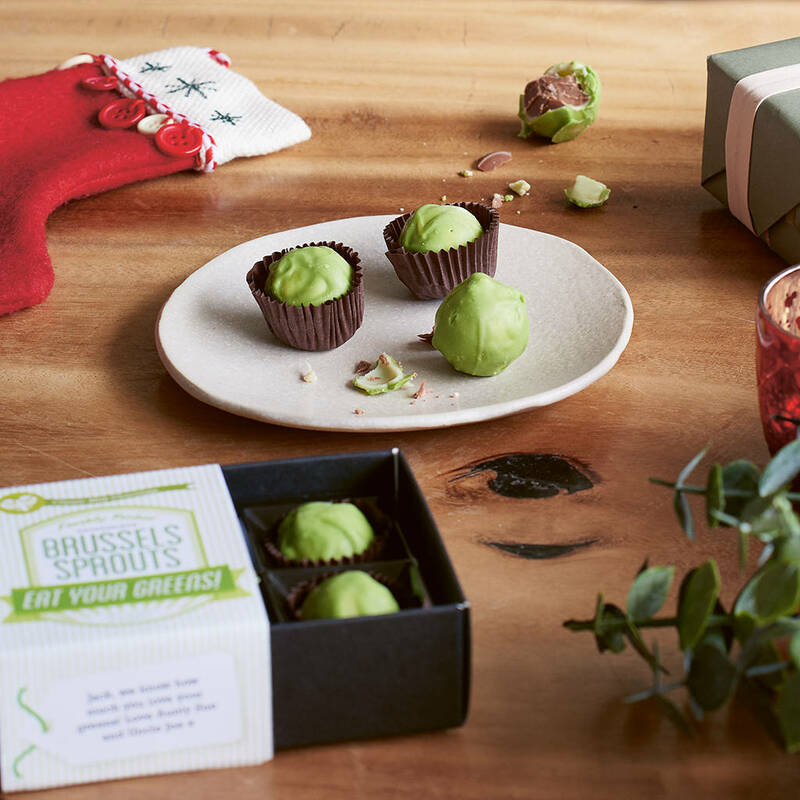 DARK WITH MINT: Solid Dark Mint Chocolate Brussels Sprouts hand-rolled in white chocolate. Ingredients: Dark chocolate: Cocoa mass, Sugar, Fat reduced cocoa powder, Emulsifier: SOYlecithin (E322), Natural vanilla flavouring, peppermint oil. 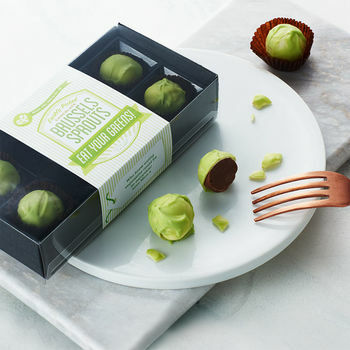 Cocoa solids 55% minimum. White chocolate: Sugar, Cocoa butter, Whole MILK powder, Emulsifier: SOY lecithin (E322), Natural vanilla flavouring. Green colouring (E142). Cocoa solids 28% minimum, MILK solids 25% min.